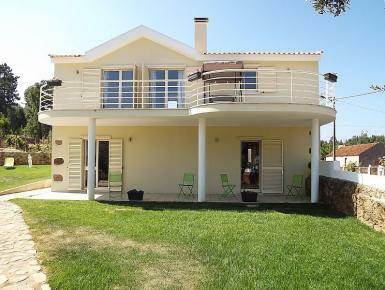 villa has 2 double bedrooms connected to a large terrace with hill views. large bathroom upstairs with jacuzzi bath, showeroom downstairs. open plan living area complete with fitted kitchen, dishwasher/washing machine. outside is a landscaped garden with terrace,patio area around the barbecue, small splashing pool 5m wide x 1.2 meters high ideal for families with children. Some games available to use is air hockey table, table football, playstation 2 console.